*UPDATE* Vitacost has updated their referral program to state that new customers, get a $10 coupon on your first purchase of $30 or more at Vitacost.com. Still a great deal! While reading MoneySavingMom yesterday, I discovered this VitaCost deal. Many of you have told me about VitaCost during the past few months, especially since they occasionally have great deals on coconut oil. So, I was excited to see that as a first time customer, I could snag $10 of free credit to their site! Since I’m well stocked on coconut oil for now, I spent quite a bit of time looking over VitaCost to see what other products they had that I could spend my credit on, and to see if it was worth your time and mine to pass this deal on to you. Wow – you should see the great selection of healthy foods, drinks, snacks, and bath and body products they carry! I found my favorite Giovanni Smooth as Silk Hair Conditioner, put two into my cart for “free” with my credit, then paid a flat $4.99 for shipping. That is a great deal for this usually pricey conditioner! If you sign up through this referral link, you’ll receive an automatic $10 of credit to VitaCost. I’ll also receive $10 of credit for referring you (thanks!). Then, you can refer your friends through your blog, email, facebook or twitter, and receive $10 of credit for each new customer who makes a purchase through your link! This is a wonderful way to earn some extra healthy grocery cash! Look around the VitaCost site to see how you could spend your $10 free credit. 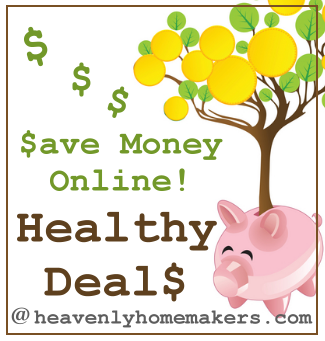 If you find something for $10 or less, you’ll only pay $4.99 (shipping cost), which means you can score something healthy you need for your family for half price! Hmm, okay. Guess we’ll wait and see! I will practice some patience then, just like I was teaching my children about today, lol!! Yes, I had the same question as Angela, I did wonder if the deal was over, because it didn’t tell me about the coupon either. Just received an email saying welcome to the refer a friend program… I’ll wait then to see about the other email with the coupon. I can’t remember exactly when I received the coupon, it didn’t seem to take too long. I got it the same day I signed up. It could be that they are backed up a little bit right now? I got it! And it didn’t come right away, but it did go to my junk mail. I still haven’t received it, arrrrggg. Was it enough just to follow the link or was I supposed to do something else? I use Vitacost all the time! I never pay for shipping–if you order $49 or more, shipping is free. So, I just wait until I have enough items to generate free shipping. I buy hair products, apple cider vinegar, vitamins, soaps, toothpaste, lotions, real salt, to name a few. Great customer service and fast shipping. Thanks Laura! Signed and my credit was there immediately (did this yesterday afternoon)! Scored some Animal Parade vitamins for cheaper than I can get them on Amazon. Thank you Thank you! been 2 days and still no coupon for me either- just a welcome letter. drat! Shucks, that is taking a long time. I think they must be super backed up. Did you check your smam email to see if it ended up in there? Hi Laura – Kathleen from Vitacost here. I noticed that the link you’re promoting in your blog was the incorrect link – we issued a hotfix to the program yesterday to correct this issue, but we didn’t know about your blog ahead of time to work with you to help promote the correct link and I’m really sorry about that. The link you promoted was initially intended for emailed referrals – so anyone trying to sign up needed to know your email address in order for you to get credit. Any customers who wanted to place a first time order with us who never received their $10 coupon should open a ticket on the refer-a-friend site (http://www.vitacostrewards.com) and we will issue manual credits. They just need to explain in their ticket where they clicked from and what happened. We’ve updated the referral program webpage to be more informative to blog posters like yourself – you’ll want to change your link within this post to make sure you get proper credit moving forward, even though we did issue that hotfix to help solve the issue. Again, I’m really sorry about this issue. Step 2: Click the Facebook button under Option 1: Share with your social network. Step 4: Post the link to your facebook wall and then go and copy that link & promote it in your blog. The format for this link is as follows, so just check and make sure it looks the same. http://www.vitacost.com/Referee?wlsrc=rsReferral&ReferralActionId=12345678 (you will have a different number there). Sorry for my brief confusion – I can’t edit my post, so hopefully you understand. Yes, I appreciate your help on this so very much – thank you! It is a pleasure to promote your site. Thanks, Laura. This looks like a great site for a lot of stuff I’m already using. My credit showed up immediately, and I’ve referred a couple more friends. Thank you – hope you enjoy your credit! I received my $10 credit and thank you so much!! I also bought enough to get free shipping-I found things I’ve been wanting to try that I haven’t found in local stores. I have tried and tried to sign up for for refer a friend program. Can someone help me sign up since I received 4 emails from you, and everytime I clicked onto it, it just sent me shopping. So I hand copied each letter from the link you sent 4 times and can’t figure out how to use it. Help!! I’m not sure what would be going wrong. If you follow this link: http://www.vitacost.com/Referee?wlsrc=rsReferral&ReferralActionId=493000298989 It should take you to a page where you can click and sign up for a $10 new customer code. When you are logged into your account, go to the bottom of the page and click on “Refer a Friend”. That’s where you’ll find all the info!